Platinum Games brings Yoko Taro's madness to life as stylishly as possible, but can it live up to the original? Our review. Nier: Automata is a game that refuses to settle for what you expect. Yoko Taro, creator of Drakengard and its spin-off Nier, has gained a reputation for his unique approach to game design. I'd venture to call him the video game industry equivalent of a mad scientist. The first Nier was such a shock to the system that it took a while before it started getting the praise it really deserved. It was a title that mixed emotional depth with off-the-wall design to create something strangely beautiful. Somehow the mad scientist has managed to capture that lightning in a bottle yet again. Automata takes place far into the future of our planet, one where the real action has already happened. Aliens attacked Earth with an army of machines, forcing humans to flee to the moon, leaving behind androids to fight off the invaders in their place. You play as 2B, a member of an elite android unit called YoRHa, whose goal is the eradication of the aliens and machines, for the glory of mankind. Of course, this is all merely surface-level story. Venture inward and you'll find yourself taking twists and turns that never seem to stop. True to its heritage, Nier: Automata features multiple endings, five of which are imperative to the plot. This is a game that will first show you its credits just 15 hours in, but won't truly come to a close for another ten. You can't stop when you reach ending A. Nor B. Don't worry though, you won't want to. Each time you reach an ending, something new is introduced to keep you going. Without spoiling the events of the game, suffice to say you'll know when you've really reached the end. Yoko Taro has long been an exceptional mind held back by a less than exceptional budget and team. For all Drakengard 3's oddly fascinating moments, it managed to be one of the most poorly optimized games I've ever played. Nier: Automata finally breaks this cycle, partnering Taro and his entourage with a development team that can actually bring form to his beautiful madness–fan-favorite developer Platinum Games. Having a talented studio to back him up really helps his unique brand of craziness shine. Sure, there are some muddy textures and occasional pop-in or stuttering when sprinting between areas, but otherwise this is the most competently designed game Taro's ever had his name stamped on. 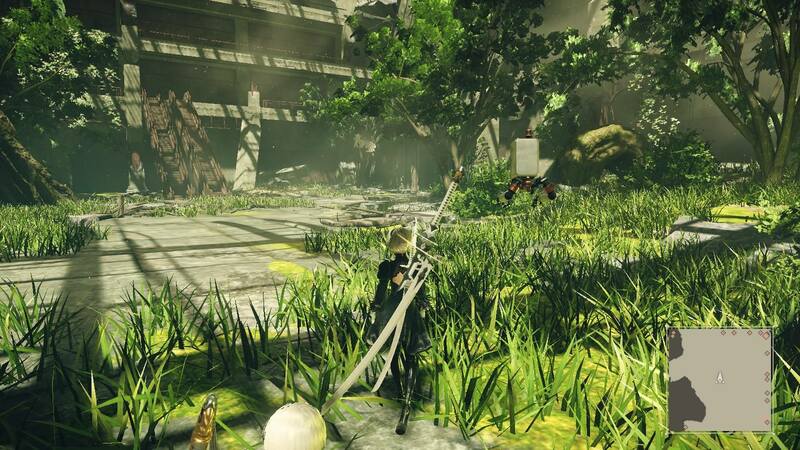 The famed developers of Bayonetta and Metal Gear Rising brought their signature flashy, lightning-fast combat to the dark world of Nier. It's not often that an action-RPG gets the benefit of spectacle fighter combat, but it really makes all the difference. The intricacies of the battle system aren't quite as complex as they are in Platinum's famous outings, but the plethora of different systems in play here make up for it. There are five types of melee weapons and you can have two configurations on demand, each consisting of one weapon set to your light attack and one to your heavy. Combine this with semi-customizable ranged combat and a surprisingly deep character customization system and you've got the recipe for an RPG that had me grinding just for the fun of it. The customization system itself is fascinating in its own way. Many of your functions–from HUD elements to combat bonuses–are chips that must be equipped. You have a certain number of points available to you, with each chip using up differing amounts of those points. 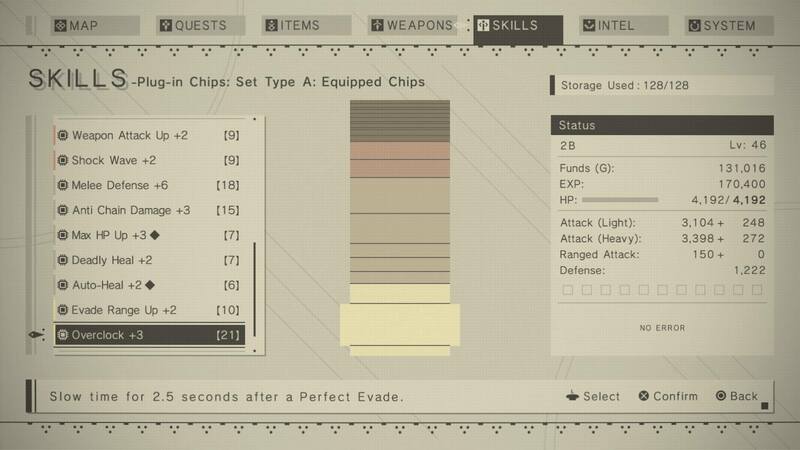 Your HP bar, experience bar, and even your main character's OS–which can actually be removed, causing instant death–are all chips that need to be equipped to function. As you progress, you'll gain all sorts of crazy and useful chips that allow you to customize the game further. These chips provide buffs that can be either passive or active. I was particularly fond of one that gave my melee swings projectile attacks, and there was another that essentially gave the game Bayonetta's famous witch-time effect, causing time to slow when I dodged at the last moment. You can also increase your health, damage, drop rates, and the like with these. Identical chips can even be fused together to provide a stronger effect. The system allows for a very cool level of personalization to your playstyle, and mastering the ins and outs of these chips can make all the difference. It's not all hacking and slashing, however. Taro's titles have been known to meddle with other genres in the middle of the game, and this one goes above and beyond. 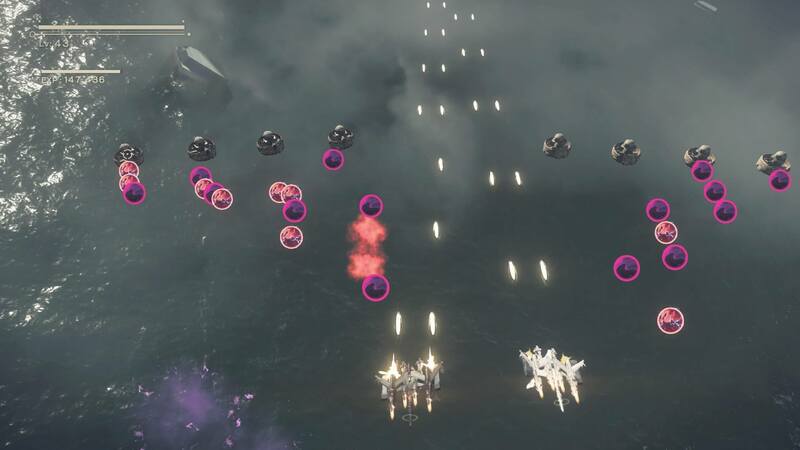 Nier: Automata isn't just an action-RPG, it's a Galaga-style shmup, a twin-stick bullet-hell, and more. What's even more remarkable is that it somehow nails every one of these genres. The game will weave you in and out of completely different gameplay styles, but none of them ever really feel like they're detracting from the experience or are there simply as filler. All of this is enhanced further by an absolutely phenomenal soundtrack that perfectly emphasizes the game's unique and fascinating nature. This is a game that jumps from funny to emotional, from action-packed to slow and methodical, from 3D to 2D, all at a moment's notice. It's a game with questions to ask–not necessarily with the intention of providing answers, but rather hoping that you'll begin to ask them yourself. These questions are what make Nier: Automata a worthy sequel. Its predecessor focused on a very personal, emotional journey. One that had you sympathizing with the protagonist's plight, eager to help him save his daughter no matter what. This entry is less of a personal journey and more of an existential one, and it does it beautifully. As I closed in on the final endings for Nier: Automata, I found myself looking back on my time with it and wondering how I'd encapsulate all that into a review. Like its predecessor, this is something that must be experienced to be properly understood. At the time, I was sure I could see where it was going, and that fact left me wondering if this entry lacked that extra something that made the first Nier so memorable. As I worked my way through the final dungeon, Automata had something to prove in my mind. Would it simply stay the course, or would it save something special for the end? If you know Yoko Taro's work, you've probably guessed the answer to that question. Never before have the very credits held such sway over my opinion of a game. I leave Nier: Automata behind, not just pleased with it, but enraptured by it. Hopefully you will too. This review was based on a PlayStation 4 digital copy provided by the publisher. Nier: Automata is available now both digitally and physically for PS4 and will be available digitally for PC on March 17 for $59.99. The game is rated M-17+. Great review, Josh! You got me interested in trying a game I'd never heard of. Good review, I'm definitely interested in this. I was so excited but I just can't justify it after picking up horizon. I'm getting this over Horizon. It looks excellent and right up my alley. I am intrigued by this game. This game sounds really great. it's next in line after I finish Zelda and then the second half of Horizon Zero dawn, by that time Persona 5 should be coming out. I you need more for the next 4 months I'll be in my room. Eat, train, video games? Today I'm taking the day off from gaming though. My Zelda binge has taken it's toll on my sleep and mental state. I need sunshine and sleep for a day. Yoko Taro is a mad mad man.